Many iOS device users have reported that their iPhone is stuck in guided access in iOS 12. Some of the users also have issues unlocking their iPad. Whatever the issues are, if you can't exit the guided access session, then you will be stuck in just one app screen and it will become impossible to use the iPhone/iPad. So, in this article, we are going to learn some tips that can help the users to exit guided access when it locks up. As you might have heard that most of the issues that arise in iOS devices can be fixed by a simple restart or force restart, so we are going to do that. If your iPhone or iPad is stuck in Guided Access then follow the given instructions. For iPhone 8, X and later models: To force restart iPhone 8, X, XS, XR, or other latest models, quickly press and release the Volume up button and then do the same with Volume down button. 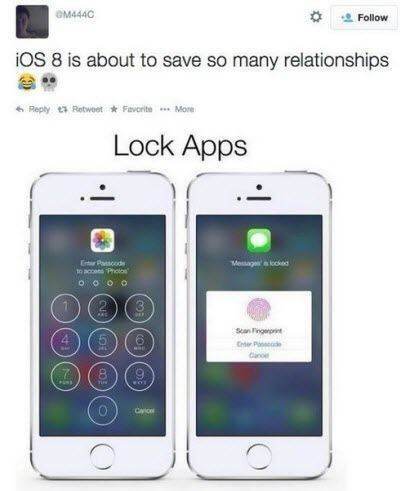 Then press the Power button and hold it until the Apple logo appears on the screen. For iPhone 7 and 7 Plus: For iPhone 7 and 7 Plus, press the power button and volume down button at the same time and wait for few seconds. The Apple logo will pop up on the screen. Then let go of the button and allow the iPhone to complete the sequence. For iPad, iPhone 6 and earlier models: For all the earlier iPhone models and iPad, press and hold the Power button simultaneously and wait for the Apple logo to come up on the screen. Then turn on the device by pressing the same buttons. Step 1. Visit the official website of Tenorshare ReiBoot and download the software on your system. Launch the tool as soon as it is installed on your computer and connect your device with it. Then from the main interface, select the Repair Operating system option. Step 2. In the next screen, as you start the process you will have to download the firmware package first. The software will identify the iOS version of your device and provide a suitable file for the device automatically. Step 3. When the firmware is downloaded click the Repair Now option and the repair process will be initiated. You will be able to see the ongoing process on the screen. As the repair is finished, the software will notify you and the device will reboot itself. This way all your device data will be safe and you will be able to use your device same as before. There is another option that can be used to fix the Guided Access stuck in both iPhone and iPad, that is iTunes restore. With iTunes, you will be able to reset the device to factory settings therefore, the Guided Access settings will also be reset to default settings, thus all data and settings will be erased after restore. Step 1. Launch iTunes on your computer and ensure that you have the latest version. Now connect your device with the computer and iTunes will detect the device. Step 2. Click on the Device icon on the top left corner of the iTunes screen and it will display the connected device list. From the options, select your device and get to the Summary tab. Step 3. In the Summary tab, you will see a Backup option. Perform a backup first and when it is done, click on the Restore iPad/iPhone option. This will erase all the content and settings from the device and you will have to reset your device as new. You can restore the data from the backup when you get to the Apps and Data screen. 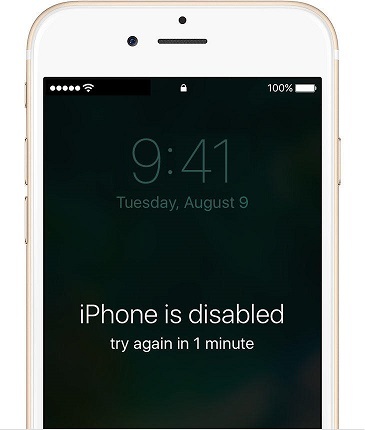 In this article, you learned how to get out of guided access without passcode or iTunes. Whatever issue you are facing in your iPhone/iPad, it can be fixed with the help of Tenorshare ReiBoot. The software can resolve over 50 different kinds of issue in iOS devices. So, the moment your device starts behaving abnormally, use Tenorshare ReiBoot to immediately fix the device.